When parents separate, issues of custody are paramount. There are many items to consider. Will physical custody be sole or shared ?, Will legal custody be for one or both parents ? What will the visitation schedule be ? Are there special medical, educational or religious considerations ? Are there are safety or environmental concerns ? Discover how the Law Offices of Steven Gildin, located in Fresh Meadows, NY can help you understand the system and your rights. Perhaps the hardest aspect of going through a divorce is – what will become of the children? Let me reassure you that most of the time, children will not only be fine after a divorce, they will actually be better off than they were before. Sure, Mom and Dad no longer live together, but the hostility and lack of love is gone too, generally having been replaced with true love and nurturing. There are two major parts of custody. First, there is legal custody, which determines whether one or both parents have decision making authority over the major issues affecting the children. Legal custody comes in a few forms. It can be sole, where one parent makes those major decisions alone. It can be joint custody, where both parents make all of those decisions together. Or it can even be some type of combination in the middle. 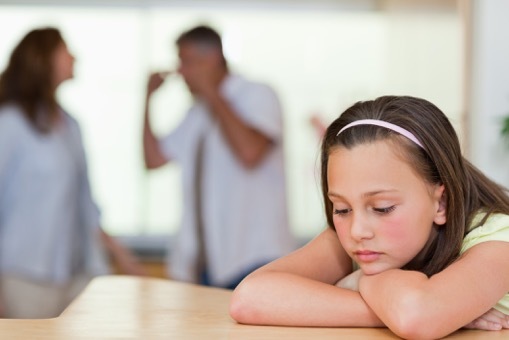 Legal custody is not as significant as it first might seem. ‘Major’ decisions that need to be made are far and few between. They are the ‘God forbid’ issues that we, as parents, pray never even come up. They are not routine, day to day decisions, such as, “What’s for dinner?” Rather, they are big medical, educational or religious issues. Ideally legal custody would be joint custody, but that means both parents need to have good communication, cooperation, respect and the same views. But since you are getting a divorce, the odds that you can easily co-parent with your soon to be ex-spouse without any problems arising is not likely. Both parents must be involved in a dialogue about major issues affecting their child. But if there is no agreement, someone needs to make the final decision. One parent can do that for all major issues or you can even split the areas up. For instance, you can have the final say so on education and activities and your spouse can decide medical and religious issues. The other area of custody is physical – who will live with the children on a regular basis and who will have visitation. This is more difficult, as both parents love the children and are very used to seeing them on a daily basis. Need Help Planning Visitation (Parenting Time)? If physical custody cannot be agreed upon, then it will ultimately be up to the Court to determine. This can cause a case to become complicated, resulting in a greater investment in time, money and emotions. The parent who does not have physical custody will have visitation (also known as ‘parenting time’). Standard liberal visitation is every other weekend from Friday evening through Sunday evening (through Monday evening if Monday is a holiday), one evening mid-week every week for a few hours, shared vacations and holidays and sometime during the Summer months. This schedule, however, is far from set in stone and there are tons of variations that are used. All of the aspects of a custody/visitation case cannot be discussed in this brief overview, as each case is unique unto itself. You are welcome, however, to come into the office for a meeting to discuss the factors of your case. Call today for your free consultation with an experienced Long Island, NY child custody attorney! not be construed to be formal legal advice nor the formation of a lawyer/client relationship. Prior results do not guarantee a similar outcome.